The amazingly talented and versatile international singer Jonathan Veira, with the most beautiful voice, is coming to St Catherine’s Church Ventnor this summer (how to book) as part of his new ‘Jonathan Veira – Songs and Tales Tour’. Jonathan is essentially a musical chameleon - performing songs of great diversity to an incredibly high standard – which quite possibly makes him unique in the world of entertainment. Indeed – ‘...better than anyone else in the UK’ is how As The Stage recently described him. From Billy Joel to Mozart and everything in-between – nothing seems too hard for him! Ballads, blues, rock n roll, jazz and even opera – everything sounds completely authentic and exhilarating. Accompanying himself on the piano with amazing dexterity, his glorious singing of his songs frequently moves people to tears and then they find themselves weeping with laughter at his tales! 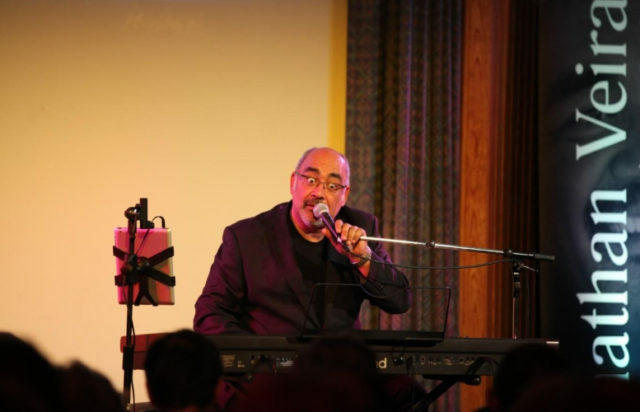 The Sunday Express called him sensational and Jonathan Veira’s show is undeniably sensational because you get so much more than just ‘the voice’. He is a superb comic raconteur, whose anecdotal story-telling has people of all generations laughing helplessly. When did you last see young and old rocking with laughter together? A naturally funny man, Jonathan’s infectious humour draws you in to his joyful presence – before long he feels like a good friend. He chats about his life and faith in a totally natural and honest way – without awkwardness or jargon. It is an evening you will remember for a long, long time. 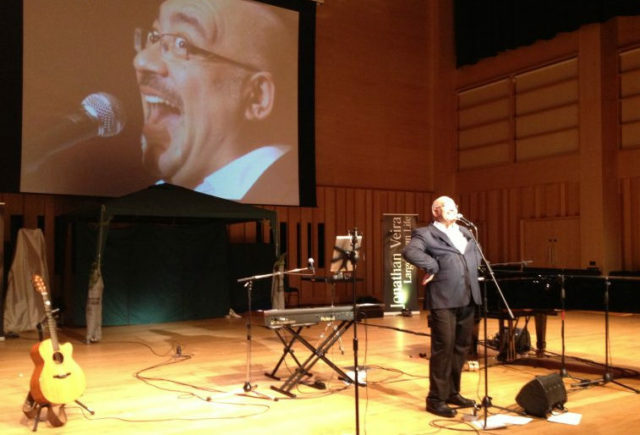 Recently praised in The Independent for his brilliant performance – ‘larger than life and utterly credible’, and by The Standard that his comedy outshines others, international singer Jonathan Veira is no stranger to venues that hold thousands of people, but he is changing his habits. Instead of appearing on stage singing - to great acclaim - to thousands, he is choosing to perform his solo show in far more intimate settings. It is rare these days to find someone who can sing beautifully, entertain and make people of all ages laugh, and possibly even cry. To communicate in a family friendly way, without using bad language as JV does is remarkable - it’s a reputation to be proud of. Jonathan Veira really is ‘larger than life’ and you’ll love to see him in action. His engaging and enthusiastic performance leaves a lasting impression. The event takes place on 29th June at St Catherine’s Church in Ventnor. Tickets - which are expected to sell fast - are priced are £10 each. Family tickets (2 adults and 2 children) are priced at £25 and discounts are available for group bookings. Tickets are available from adrian@adrianpinnock.co.uk or by calling (01983) 852412. To find out more about Jonathan see his Website. The Big Man For a flavour of what to expect from the Big Man, Jonathan Veira, here he is in action in the past, accompanied by musicians (the Ventnor show will be solo). Isle of Wight Summer Opera Fest - Viva Verdi!